Named the quietest place in the world, this anechoic chamber in Minnesota is 99.9% sound-absorbent. While quiet, it may not be relaxing or comforting with its layers of concrete and steel, and due to the fact that no one has spent more than 45 minutes in the room. If you do visit this quiet place, you’ll notice just how much you can hear in the silence, such as your heart, stomach and lungs. In fact, the chamber’s lack of sound is comparable to space, which is why NASA sends their astronauts here to prepare for space’s silent treatment. Want to travel to Egypt to see the Great Sand Sea, but it’s just too crowded? The Mojave Desert in the U.S. has the next best thing — the Kelso Sand Dunes. These dunes are often compared to Egypt’s Great Sand Sea, but without the noise. While often windy, the dunes do offer a relaxing place away from civilization and industrial noise. If you stay into the evening, the wind usually dies down and gives you some quiet underneath the nighttime sky. You may even see a Mojave fringe-toed lizard during your trip, which can “swim” in sand. 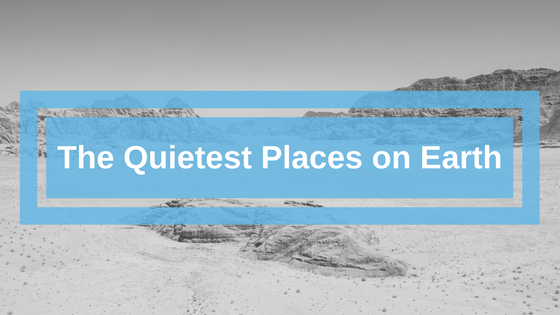 You’ll have to visit with a tour company if you want to see and experience one of the quietest places in the world. The Kronotsky Nature Reserve is home to more than 4000 square miles of mountain ranges, volcanoes and geysers. Expect to hear the geysers and wildlife when you visit. Many travelers feel these sounds are what make the reserve so relaxing. Trips to Jerusalem or Tel Aviv aren’t complete without a stop to the Negev Desert. The desert’s unique because you can hear your ears ring from the silence. Desert tours are available, though you can also reach it by car or bus and hike to a spot that offers some silence. Negev Desert also features makhteshims, which are landforms that look like craters. They’re believed to have formed due to water erosion. The most famous one is the Ramon Crater, which is more than 1500 feet deep. 5. Olympic National Park, Wash. If you’ve ever wanted to see a designated quiet place, you’ll want to visit the One Square Inch of Silence in Olympic National Park. Found in the park’s Hoh Rain Forest, this space is a part of an independent research project to study the impact of sound, as well as encourage a quiet area. Olympic National Park is home to hikes, night sky programs and boating and fishing areas where you can find a relaxing place on the water to take in nature and the summertime silence. If you’re visiting during the winter, you can also ski and snowshoe. Makgadikgadi Pans National Park makes you feel like you transported to another world with its wildlife and quiet. The national park is also known for its clear, starry nights and encourages you to take in the nighttime sky, depending on where you’re staying. Antarctica is perhaps the quietest place in the world, once you exclude Minnesota’s anechoic chamber. It’s a bit of a trek to get there, and a tad chilly, but Deception Island offers quiet, beauty and penguins. Need we say more? Oh, and the island has warm volcanic baths that you make from digging into the sand. Want to find more quiet places to travel this coming year? 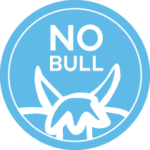 Subscribe to our Bull Bulletin and we’ll keep you updated.